The Supreme Court on Friday had said there is no occasion to doubt the decision-making process in the procurement of 36 Rafale jets from France. The stance of the country's "first family" in not listening to the top court's order, Ms Sitharaman said. Defence Minister Niramala Sitharaman on Monday alleged that the Congress was "knowingly" misleading people over the pricing of Rafale jets. Hitting out at the Gandhi family for alleging corruption in the defence contract, she said that they showed "amazing audacity" by not listening to the Supreme Court's verdict in the case. 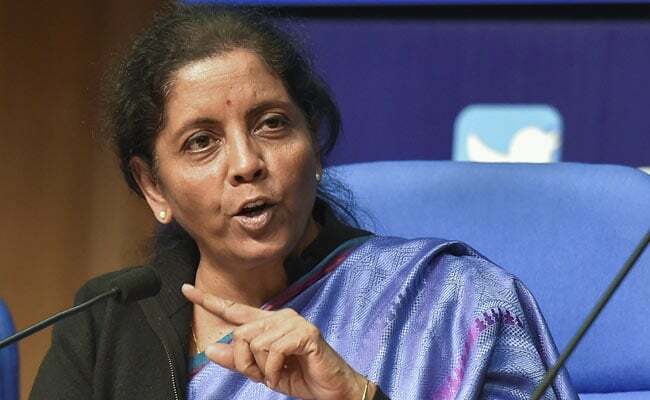 "The Congress is knowingly misleading people on the pricing of the Rafale jets," Ms Sitharaman said at the BJP office in Mumbai. The stance of the country's "first family" in not listening to the top court's order on the Rafale deal case petition can be termed as, with due respect, "amazing audacity", she said.